This Page is to help everyone keep up on the current factions in the FVWA. This Faction is the creation of Shane Hunt. He considers Brent Anderson to be the best the FVWA has to offer and his equals. They have made it clear that they are here to dominate the FVWA. This is the most powerful group in BYW today. Shane is a 16 time champion and current Mid-Valley champion. Brent is a former holder of the FVWA World Title. With the exit of Heretic and Triple X, the Trinity was looking for a new members. They do have a new manager in Starr Kayde. Now with the addition of Commishoner Juggalo at Wrestle Riot this group may be unstopable. 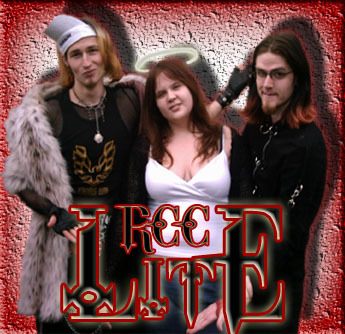 With Joe E/COD being sidelined by Commishoner Juggalo, He has reconected with friend "Pyscho" Craig and Epiphany to form RCC Lite. This force is a strong force aganst the Trinity and may be the last hope for FVWA.